Andy Barrington serves the division as the Divisional Music Director. Bandmaster Barrington is a fourth generation Salvationist born to Salvation Army officer parents. Andy’s early musical training was offered to him by his father, Major Tony Barrington, who also encouraged Andy to continue with his musical training through Salvation Army music programs and conservatories. Andy’s principal studies were on Tuba, although he is a published composer as well. Andy has served as the Assistant Divisional Music Director of the Georgia Division of the Salvation Army, also as the Corps Music Director in Fairfax Virginia where he also served as the Deputy Bandmaster of the National Capital Band. 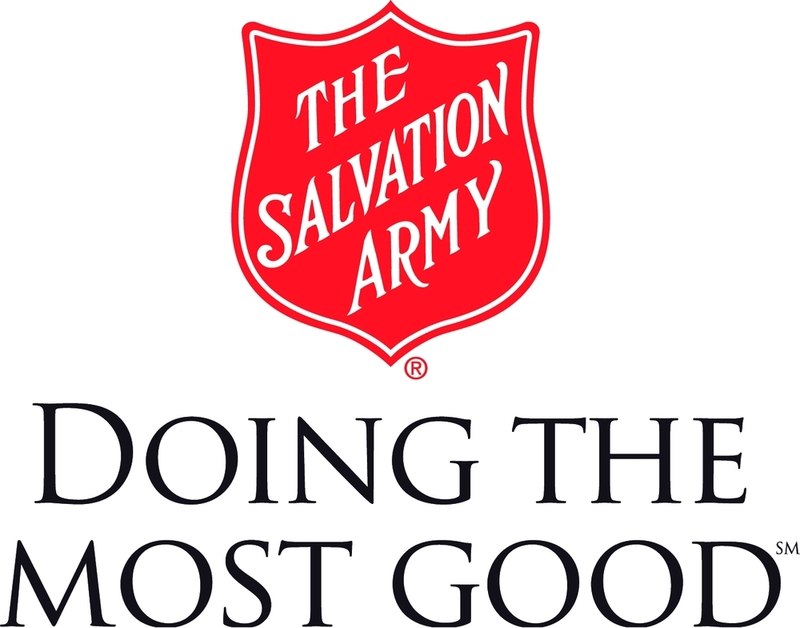 He is now serving as the Divisional Music Director of the Arkansas and Oklahoma Division of the Salvation Army. Andy also serves as the principal Tuba player of the Southern Territorial Band of the Salvation Army. Andy is married to Connie Barrington who serves as principal Tenor Horn of the Southern Territorial Band and, together, they have four wonderful children - Anthony, Ella, Talitha and Wesley. The Barringtons reside in Oklahoma City, Oklahoma. Jimmy Cox is an Assistant Divisional Music Director for the Arkansas and Oklahoma Division. 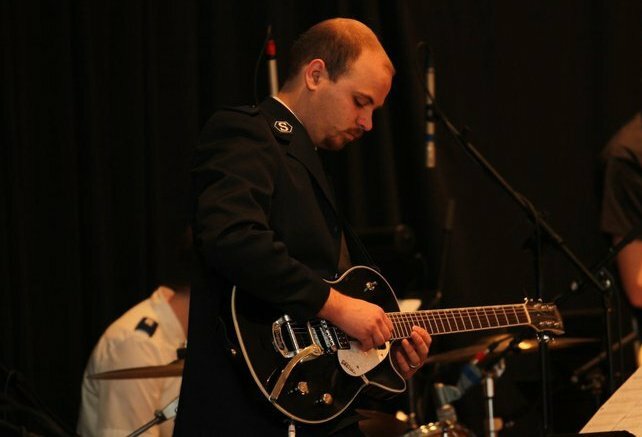 A first generation Salvationist, Jimmy's first experience with Salvation Army music programing was as a staff member for the AOK Conservatory of Music. He immediately fell in love with the Army and it's mission, and so0n became a Salvation Army Soldier. Jimmy began working as an Assistant Divisional Music Director in 2010. He specializes in contemporary worship music and guitar. Jimmy is the author of The Contemporary Guitarist: Methods for the Worship Musician. This method is a beginner thru advanced method for praise and worship guitarists. A strong believer in the traditional music programs of the Salvation Army, Jimmy plays percussion in brass bands in the division, and also will serve as a bandmaster when needed. He believes very strongly in a balanced worship service that does not distinguish between contemporary and traditional. All aspects of worship should be of good quality, and all members should be participating for the glory of the Lord. Jimmy is continuing studies at the University of Central Oklahoma as a music major, where he has spent time studying guitar and percussion. He was born on December 5, 1987, and has lived in Oklahoma all his life. Early on, he was taught guitar by his father, and quickly began playing in church. He is happily married to his wonderful wife, Kayla. They have two children: Wrynlee Michelle and Isaac Cox. They reside in Moore, OK.
Kaitlyn Hardiman is an Assistant Divisional Music and Arts Director for the Arkansas and Oklahoma Division with a specialty in Creative Arts. Kaitlyn is a third generation Salvationist who fell in love with the dance and drama ministry after her first Territorial Music Institute in 2009. It was here she knew she was called to further pursue performing arts ministry as a career in her future. Kaitlyn began her dance training at the age of six. Now, seventeen years later, Kaitlyn has studied many different dance styles. These styles include, Ballet, Tap, Modern, Jazz, Contemporary, Pointe work, Partnering, Irish, Flamenco, and Musical Theatre. Kaitlyn had the opportunity to study dance at a performing arts high school where she was able to refine her craft more intensely. While attending college, Kaitlyn worked at several different dance studios teaching various dance forms to all ages and levels. This is where she began to develop her passion for teaching, as well as the tools and teaching techniques she uses today that she finds most effective. In addition to this, Kaitlyn is an active participant in the Creative Arts throughout the territory. She has served as a member of the Territorial Creative Arts Ensemble for four seasons as well as instructed dance at the Territorial Music Institute. Kaitlyn recently moved from Virginia and now resides in Oklahoma City.